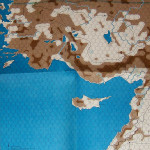 Europa Game IX, Turkey, Iraq, and Iran. 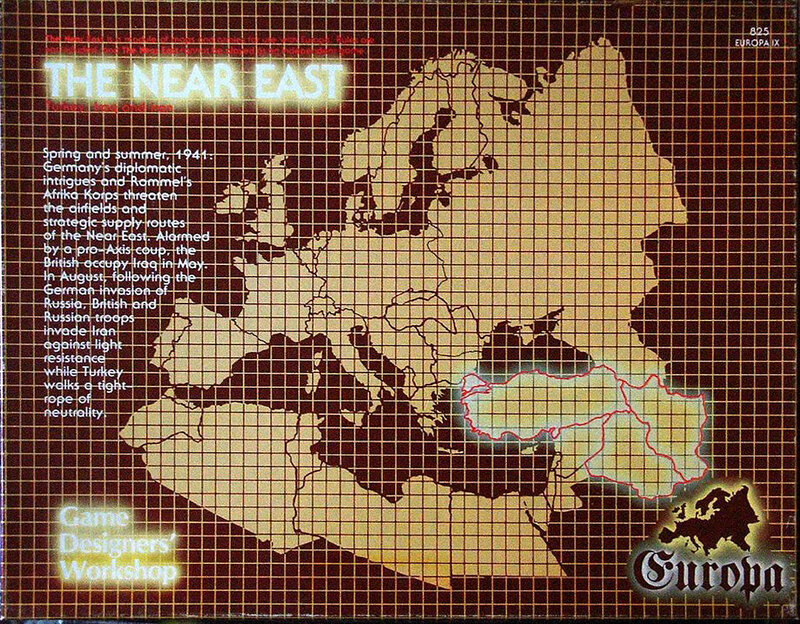 The Near East is a module which provides forces and maps not otherwise provided in Europa games. 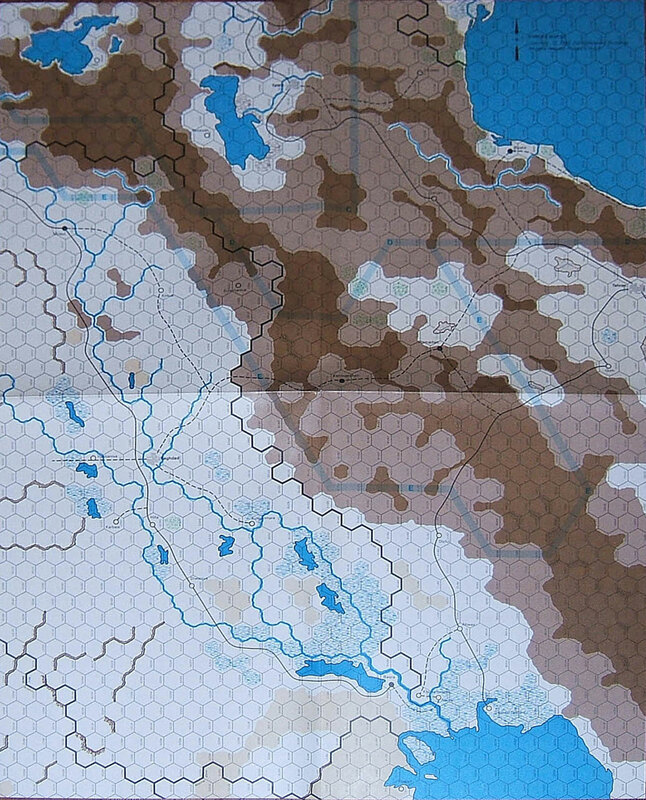 Just like The Urals it is not playable separately, but can be played in conjunction with Western Desert. 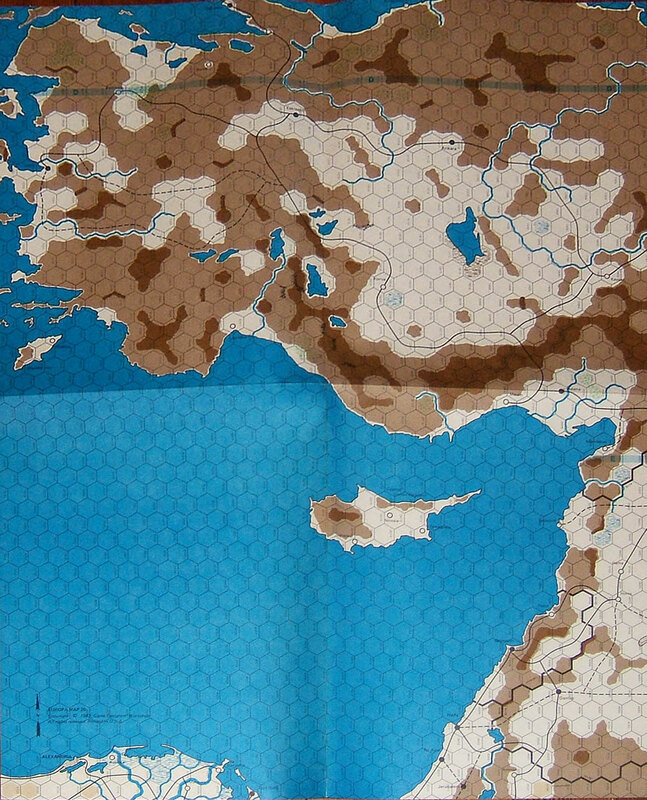 The module was initially published in May 1983 in a red-brown Europa Map box. 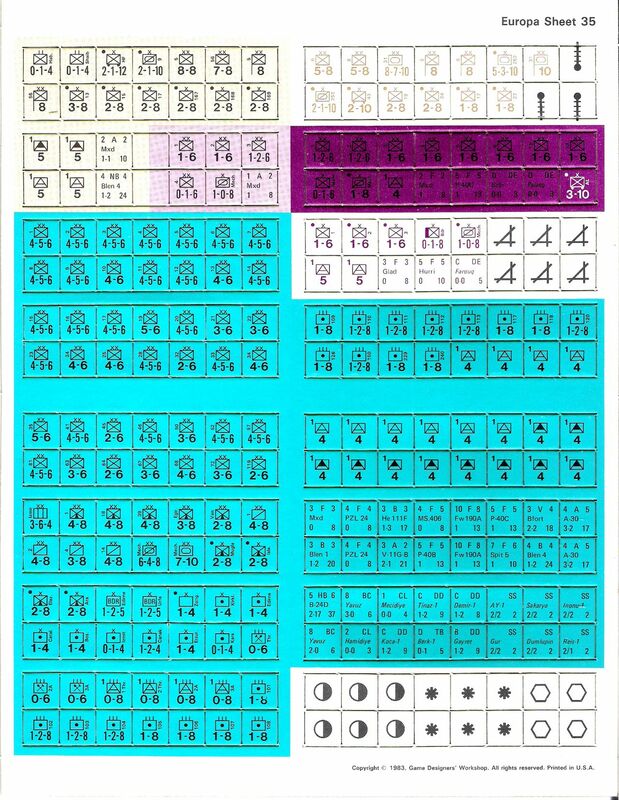 The errata sheet for the game was dated 7 December 1983 and is definitive. Designed by John M. Astell. 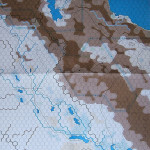 “The Iraq Petroleum Company: Pipelines through the Near East.” By Frank Watson. TEM 18. 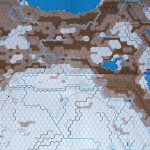 “The Near East Errata Sheet.” TEM 41. “Revolt in Iraq: Rashid Ali and the Golden Square, April-May 1941.” By Frank Watson - TEM 27. 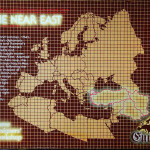 “Tracks to the Orient: A Secondary Road System for The Near East.” By Frank Watson - TEM 27. 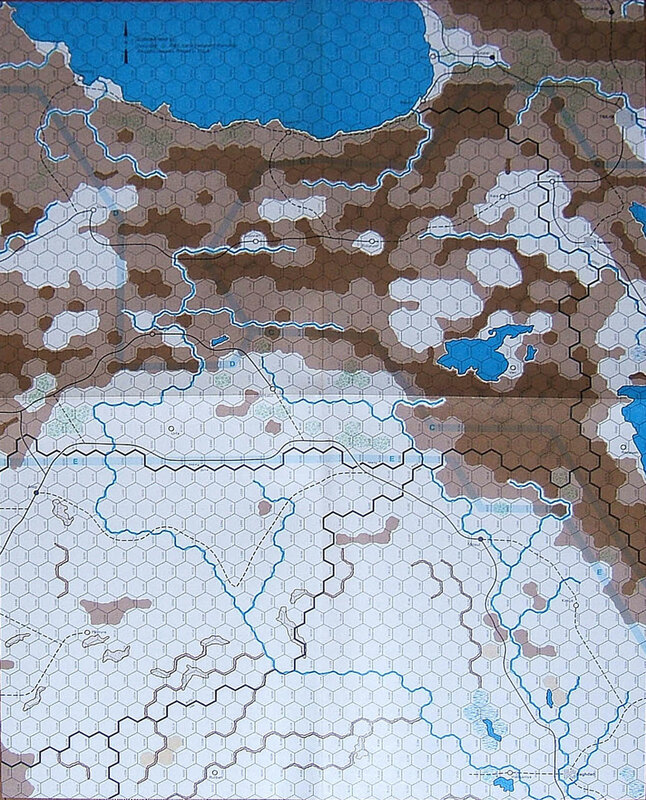 “Turkish Entry into the Russian Campaign.” By Phillip Buhler. 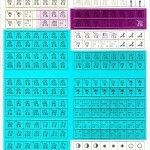 TEN 2.